Well finally all that goes out the window in the Henley Classic Swim as you swim on part of the rowing course that is a 2.1km straight stretch of the river which has two solid lane ropes either side to keep you penned in! Fantastic I hear you say. Well, this comes at a price, alarm goes at 3:05, yes Gatwick o’clock! The swimmers need to be out before the rowers get in and finishing a race before 5:30am does take some adjusting to. It feels like lunchtime but you need breakfast and a nap! It is quite surreal seeing all the booms and barriers in the water to keep the rowing lanes separate and then there are the officials huts that seem to float on water. It is has a race course feel to it. The guys at Henley always put on a good show. Jeremy came for some lessons about 12 yrs ago and having swum the Bridge to Bridge and a few other events I have no qualms endorsing the races and the organisation. Bags ready when you exit, flip-flops in the right place, large buoys, lots of safety cover, hot chocolate & kayaks everywhere. 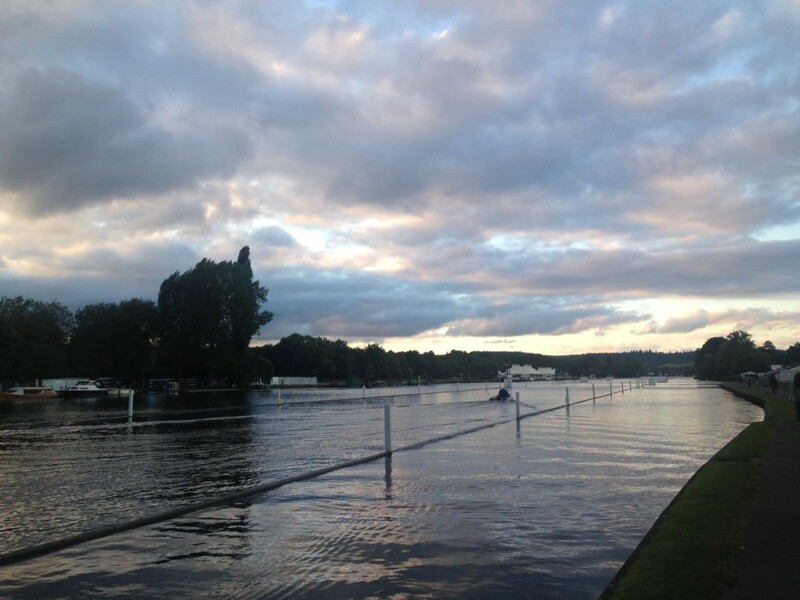 And glorious Henley. The stats above show a slow 2.2km but that included a near 4min pre start as I got in for a warmup. I won my AG in 28:28 so that was ok considering I am in quite heavy training for Geneva and the rest of the summer. Camping was quite fun and it helped to be on site when the alarm went and bag check closed at 3:45. A parade of rubber down the river bank to the start under the amazing Lazer that outlines the straight course and before you know it, it is 4:30am and it is time to swim to the start. A mix of Triathletes and Openwater swimmers combine to make it quite a fast race with many categories including Non Wetsuits. The water was warm and crystal clear, just idyllic conditions and you swim past some amazing sights, houses and boats and use the clock tower in Henley to sight once it is just light enough to see! It has been two years since the Bridge to Bridge for me <now the Thames Marathon> and I might just have to check dates for that again. I mentioned we taught Jeremy all those years ago well it was lovely at the finish to have a few people in the water come over and say thanks for helping x,y,z many years ago with lessons and how they were enjoying their swimming. Matt M was a popular & fast swimmer at Putney Fitness not that long ago <now with Reading SC> and great to be on a podium with him. Amazing progress. As a coach and teacher there is nothing better then sharing a finish line with those you have helped. Highly recommended. The Swim Oxford lock 2 lock series just outside of Oxford is a beautiful part of the Thames. 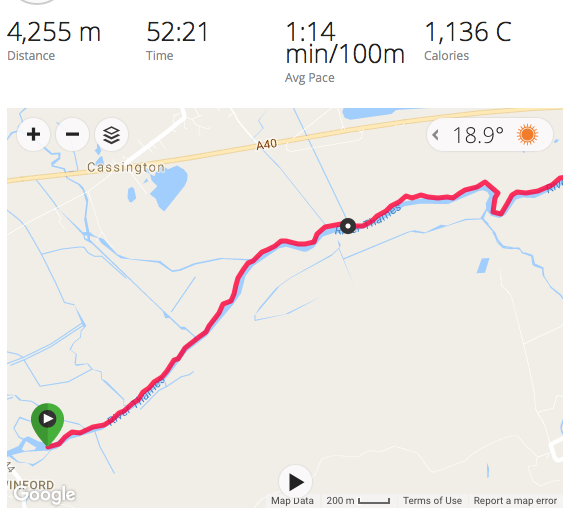 We raced over 4 km on Sunday morning & it really is just a beautiful stretch of river. 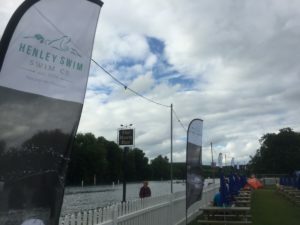 It was my first OW swim race of the year so always a little nervous thinking about all the little things that can happen and are you prepared for them. For the first time since 2002 my goggles were split across the nose bridge by a wayward heel. It occurred during an unexpected fast start from a few of the local swim club youngsters I had been watching warm up on the start line. I started Polo drill to keep my face out and all I could think of was ‘Don’t panic.’ Another voice was saying ‘game over. Let’s go home! remember 2002? you won’t fix this.’ For safety I tried to move left to the edge of the scrum and let the pack come by. Once I was out on the edge I recalled how my Speedo Elites did have the style of nose bridge I should be able to reattach if all the pieces were still intact. If I had not put the goggles on under my swim hat I doubt I would have them so that was encouraging. They snapped back into position and I was able to get them back onto my head. Maybe a few minutes lost and it was like f1 starting at the back of the grid. No pressure just weave my way through and enjoy a nice 4km training session. Panic over, just swim. Well done for keeping calm and fixing the problem. I was quite pleased with myself, I actually listened to some of my own advice and it paid off. In 2002 I had the old style of Swedish Goggles with a string nose bridge and once that was snapped that really was a big problem. I felt ok so just started swimming and stretching out carefully weaving through the pack that had now got in front. Maybe about 1km into the event I noticed a stand up paddle board and wondered if it might be the lead? I passed 2 more swimmers and felt it was then just me and the lead. Being Fathers Day, the swim then took on a different note. I started to spot fisherman along the bank and that was my Dads sport. I could hear him cheering just as he had many years ago at swim galas. The rest of the swim was pretty uneventful and I held the lead for a very pleasant remaining 3km’ish. I will be back for the 6 or 8km that the organisers host. 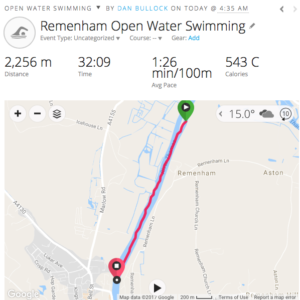 I have started to use a watch for recording stats as we help test the new Speedo On website so have a look at the map and times below. I was very pleased with the result and my current level of fitness. I had used a swim thin so not the greatest amount of buoyancy but a great alternative if the water is warm. Henley next week and not long now until Lake Genava. So the moral of the story? when you think it’s all over, just double check, it might not be….and even if adversity strikes you might still get the result you want. You might have to work a little harder but I have not enjoyed or basked in the efforts quite as much as winning this one. Catch up is a drill. A good basic all round drill that gets utilised a lot in warm ups and general swimming since we all know about it. Sometimes when learning to swim some go too far and it becomes their swim technique. Think about it – alternating single arms. One arm at a time, one stroke at a time. Not good for swimming fast. Mikey suffered from this and we chatted at the Olympic Pool last night about overcoming how his swim style was now a slow drill. If the arms can work together, one anchoring with a good pull on the water the other can be launched forwards with the hips involved. Swimming completely with the hands at 180deg to each other is going to be the fastest ‘stroke’ but can be pretty exhausting. A compromise can be reached. Have a look at the FreeFly drill for help -The FreeFly drill is great for helping with this issue. Also think about catching up to the elbow rather then the wrist as that compromise in timing. The extension/Superman drill is also useful with a slight twist. ie we aim to keep the hands at 180deg to each other. I had the good fortune to work with Susie Rogers last week. She often drops into the occasional London Disability Swim Club session that Michelle and I host. Post Gold in Rio Susie has announced her retirement but is still keeping fit and we have discussed wetsuits for maybe some OW swimming. It was interesting as she swam and asked about the session, quizzed me about her swimming, asked for input and details on progress. She was checking times, counting strokes, remembering to drink. 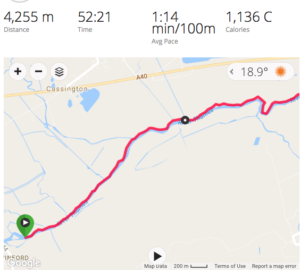 Working on pacing, checking heart rate and keeping an eye on many relevant stats. He attention to detail was a level above the other guys in the lane. I am sure people have made it to the Olympics with less attention to detail but it was interesting what else she did to help get the most from her training session. All the small things were done, exactly, helping her extract more from it. Maybe this was her approach but I have met a few Elite Sportspeople now and there are some common traits to be seen. I recall offering a chance of a 100m easy swim at our Mile End session ahead of the mainset <or a quick toilet break.> Most hung around chatting but one Kona qualifier went to the deep end to do some extra Tricep extensions ahead of the mainset. There are those who talk about Kona and wish for it and there are those who make it happen. It is quite easy to get 3km or more swum in a Long distance focused training session. 120 lengths. 60 shallow ends to glide into and miss the last 2m. 3 swims per week for 50weeks and that could be 18km of missed swimming. Or if you had not glided in that is 6 sessions you could have missed and rested! As a coach one thing that I despair of is a swimmer not having a full selection of swim toys to get the most from a session. I know it is not the easiest of things to lug around but they will really help you get the most from a session. You do sweat when swimming, gross I know but fact. Bring a drink, it might help reduce some cramping. Start a dryland warm up ahead of getting in. If you are waiting for a class to end and have a few mins put them to good use. Shoulder prehab work? 4mins of simple arm movements, 12mins per week that is 10hrs of extra training a year. You can talk and swing arms if you do want to chat and catch up! It might just save £200 in physio bills as well! In accuracies in your stroke? not being able to breathe to both sides? all take a toll on your performance and demand a price that needs paying. Whether it is more air, slowing you as the head moves more than is necessary, a higher heart rate or fatigue being introduced sooner rather than keeping it at bay. No matter what level swimmer we all fight against fatigue and a shortening of the stroke as we tire. In simple terms drills help lengthen things back out, reintroduce streamline and keep the window for breathing open longer. So have a think about your training this week. Are you getting the most from it? is your time out of the water and then in it being maximised? Could you do more? I hope the answer is no. Good luck if you are racing this weekend, hope it goes well. Arrive early. Actually perhaps even earlier. Take your time putting a wetsuit on. Try not to work up a sweat, they get harder to put on. Flush and ensure your wetsuit is comfortable. Read all literature, know the course, know how many laps, know the difference betrwen clock and anti clock! If your velcro flap that covers the top of the zip has the rough layer on the flap ensure it beds down flush and does not overlap onto skin causing irritation. Dryland warm up, get some blood flow into key swimming areas so you are good to go when the gun goes. Depending on water temperature <cool?> and chaos of start area a water based warmup might not be that beneficial. Observe and make a decision. Start sensibly from a sensible position. You could ruin your race at this point if something happens. If possible keep the head low, but eyes high as you sight. ie look for larger objects in line with buoys. Get the head back down as quick as you can. Come practice your OW with us and get this all right well ahead of time!